Art critic and scholar Philippe Dagen approaches Picasso as a subject through a series of questions. What does it mean to be an artist in the twentieth century? What does it mean to be an artist in the time of newspapers and museums, in a time when the art market has expanded to reach the entire western world? Is modern civilization so different that it gives an artist a new attitude and causes him to redefine his role for the public, the market, and, therefore, to invent entirely new artistic practices? Picasso is considered here in view of this last, and most probable, hypothesis. He is a product of his situation and time, in the broadest sense of the term. Refusing to confine himself to his studio or the small artistic community in Paris, Picasso responded forcefully to world affairs, giving pictoral and sculptural form to the passions and events he witnessed around him. This is a thoroughly modern Picasso, constantly and consciously confronting the modernity of the world. Dagen's original exploration of his techniques, materials, and images shows how the artist both allowed modernity to in?ltrate his work and at the same time to react against it. 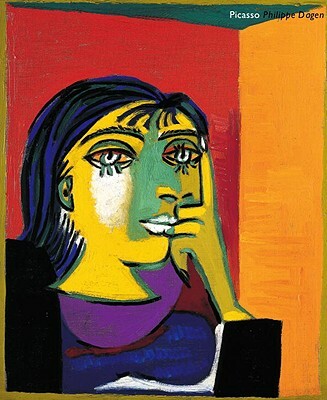 Picasso moved between acceptance and rejection, a perpetual confrontation that is, perhaps, the most satisfying explanation of his will to create change that drove him to leave the most varied and diverse body of work in the entire history of art. Philippe Dagen is an art historian, professor at the Sorbonne in Paris, critic for the newspaper Le Monde, curator, and novelist. He has published and contributed to numerous titles on art history, including George Grosz: Berlin-New York, Otto Dix: The War, and Bettina Rheims: Can You Find Happiness.